We plan to make this year’s 4th edition of SHARE Budapest the best one yet. With over 3,500 attendees and 300+ speakers spread across 10 European countries in 2018, SHARE Architects continues its mission to bring excellence in architecture. A widespread community of seniors architects, urban planners, constructors, and designers will be attend the conference to discuss and debate over a series of interesting topics. From their most recently awarded projects to upcoming trends and projections for the future, SHARE Budapest 2019 will be all about building momentum and connecting people through architecture. We look forward to meeting you at the Budapest Music Center, on March 28. We would like to remind our attendees that SHARE Budapest 2019 has received MÉK Continuing Education Accreditation: 2.5 points (2019/86). If you’re a MÉK member, use the promo code MEK2019 to get your ticket for FREE. Limited seats available! 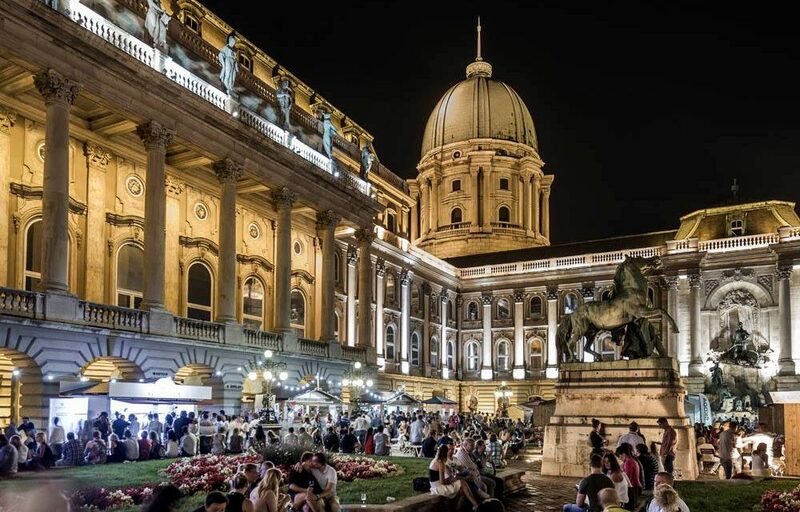 It includes access to all of the lectures at SHARE Budapest 2019, the event portfolio, access to the coffee break continuous station and sandwich lunch buffet, a participation certificate, and the event portfolio. Only for young people under 30 years old. The package contains all perks from Standard Ticket. Includes access to SHARE Budapest 2019 lectures for 2 participants. Visit our official ticket page for SHARE Budapest 2019 to learn more about what is included in the packages mentioned above. Partner & managing director at Snøhetta Design – NORWAY, Martin Gran has over 20 years of experience in brand-driven communication and projects involving design environments. He will be joining us as a great speaker for SHARE Budapest 2019 to discuss some of the most successful projects from Snøhetta Design’s portfolio, including “Under” – the world’s first and largest underwater restaurants. Read more about the architect and his work in one our most recent blog posts. Architect Jürgen Mayer H., founding partner for J. MAYER H. und Partner, Architekten mbB, is best known for his innovative work approach that lies at the intersection of art, sculpture, architecture, communication and new technologies. Read more about the architect and his work in our latest blog post HERE. 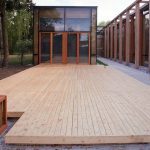 Architecture should work as an activator to move people from a passive mode of expectation to an involved level of participation and attention. […] A good building redefines a place. A good building brings a new vision. It also offers comfort but, at the same time, it challenges our expectations. Architect Csapo BALÁZS, President at the Budapest Architect Chamber has been our chairman and organizer for SHARE Budapest from the first edition. Since 2005, he has also been a partner at Palatium Studio Ltd.; a studio responsible for the general design of Metro Line 4 Budapest, the largest infrastructure project of Budapest in the past decades. Mr. Csapó had a key role in managing and harmonizing the work of different architect offices with huge engineering companies. 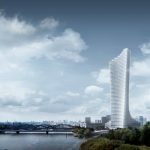 This year at SHARE Budapest, 4th edition, SHARE Architects will honor the Opera Omnia Distinction to architect Zsolt GUNTHER, co-founder at 3h architecture. The office takes pride in both its flair for imaginative concepts and its skill in finding cutting-edge technical solutions. 3h refers to the hardness of a pencil: just as the hard 3h pencil leaves an indelible mark, so the 3h group of architects strives to leave its mark on the world with its designs and buildings. Let us have a closer look at the guest speakers that will be joining us at SHARE Budapest 2019. Get ready to hear more about architectural projects and presentations that will take your breath away. Special presentation: “Reconstruction, modernization, extension: The reconstruction of the old town hall of Buda”. Levente SZABO’s presentation at SHARE Budapest 2019 will include a detailed approach of the permit and construction plans for the complete historic reconstruction, courtyard covering and loft conversion project of Buda’s former Town Hall building. 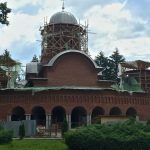 The renewal of the building with unique historical value had a dual purpose: to reconstruct the basically Baroque building, which includes significant medieval parts and has gone through several construction periods, by preserving the exciting material, structural and spatial imprints, and at the same time to carry out a revitalization that meets today’s demands. 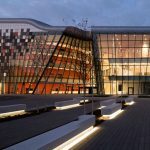 Péter SUGÁR’s presentation at SHARE Budapest 2019 will focus on the design of GRAPHISOFT PARK, which will be given a symbolic role due to its new position. This position predestines to be a significant building, really becoming the gate of the park. Due to the intersection of the 3 urban axes (Záhony Street – Danube bank axis; Gas factory street; 1st street with tar towers) it will be at the visual reference point of the area. The green area next to the entrance to the park will become the foreground of the building. Sándor FINTA, Operating & Development Director at Várkapitányság Nonprofit Zrt. 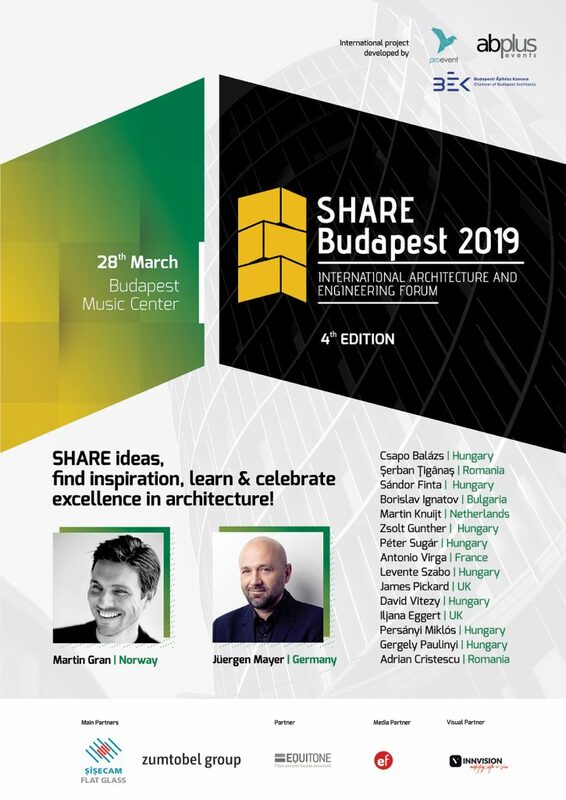 and former chief architect for the Budapest City Hall will be one of our guest speakers at SHARE Budapest 2019. He will have a special presentation on “Value preservation and value creation – The renovation of Buda Castle and the surrounding area”. Based in Paris and Milan, the Antonio Virga Architecte agency has been working for over 15 years on public facilities and shared habitats. At SHARE Budapest 2019, architect Antonio Virga will be joining the Plenary Session II – Architecture & Facades to share more about the work of his office and plans for the future. Architecture and design practice Diller Scofidio + Renfro have been selected to design the Hungarian Museum of Transport in Budapest. David VITEZY, General Director at the Hungarian Museum of Science, Technology and Transport will be joining us at SHARE Budapest 2019 to share more insight into a project that aims to provide a new identity for museum in the public realm. Architect James PICKARD, Director at Cartwright Pickard Architects, will be joining the Plenary Session III – Architecture & Facades at SHARE Budapest 2019, where he will hold a special presentation titled “Lambeth Civic Quarter – Mixed-use urban renewal in Brixton, London”. Iljana Eggert is a senior associate for Carpenter | Lowings, architecture and design studio internationally known for using glass in the fields of art, architecture and engineering. As one of our guest speakers for SHARE Budapest 2019, Iljana will have a special Lighting Session titled “SHARE Lighting by ZUMTOBEL”. Prof. Dr. Miklós Persányi will be joining us this spring at SHARE Budapest 2019, 4th edition to talk about Pannonia Park, one of the largest and most imposing zoo developments in Europe. As Director General at Budapest Zoo And Botanical Garden, Dr. Miklós mentioned: “Our goal is to develop the country’s no. 1. cultural-touristic attraction in Central and Eastern Europe”. The project will be presented together with Dr. Gergely Paulinyi, president and CEO for Paulinyi-Reith & Partners Zrt. & Architect for BIODOME. Director and Founding Partner at OKRA Landscape Architects, architect Martin KNUIJT, will be joining us as a guest speaker at SHARE Budapest 2019. He will hold a special Landscape & Master Planning presentation on the topic of “A green future for cities – climate adaptive public space in European cities”. President and Principal Architect at West Group Architecture, Adrian CRISTESCU prides with more than 30 years of working experience in the industry. His company is a full professional service design organization oriented towards modern construction technology implication in the design and construction process. For a complete, adequate and development of the projects, WEST GROUP ARCHITECTURE guarantees high standard architectural services and expertise in modern materials, construction technologies and design coordination. President at the Bulgarian Chamber of Architects (KAB), architect Borislav IGNATOV will be one of our honorary guests at SHARE Budapest 2019. He will hold an opening speech at the Official Plenary Session, as well as a presentation on Architecture & Facades. Architect Șerban ȚIGĂNAȘ, founder of “Dico & Tiganas” – one of the most well-known names in architecture from Romania is currently the Secretary General of the International Union of Architects, past president of the Order of Architects in Romania and the President of SHARE Society. As an experienced architect, practitioner, professor, and activist, Șerban has always been interested in the evolution of architecture towards a better future. Dr. Habil György ALFÖLDI , Dean at the Faculty of Architecture, Budapest University of Technology and Economics will be joining us as an honorary guest at SHARE Budapest 2019. He will hold a special presentation at the Official Plenary Session. Workshop: “Active Light in our daily lives” by Zumtobel Group. Speakers: Lenka Bokajová, Field Marketing Manager and Zoltán Iványi, Lighting Designer at Zumtobel Group. 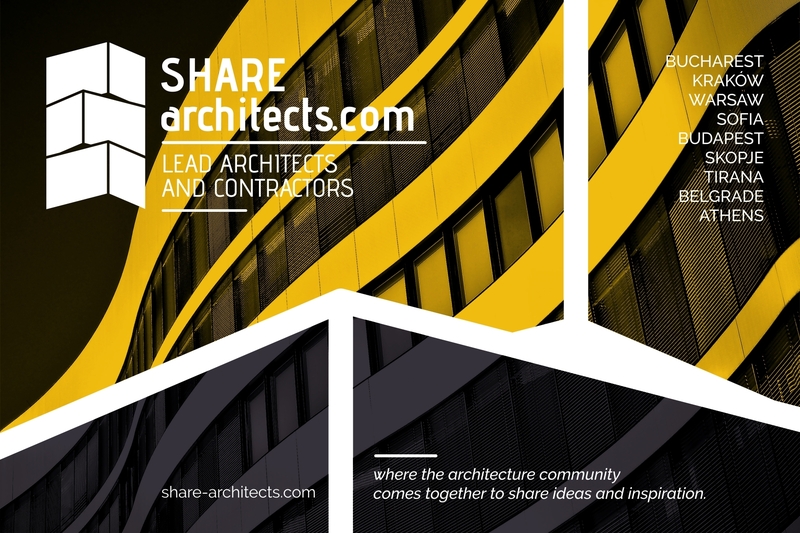 Don’t forget to download the official SHARE Architects networking app HERE to personalize your agenda and set up session reminders. SHARE Architects is a leading conference programme that brings together some of the finest architects, urban designers, and planners in Central Eastern Europe. 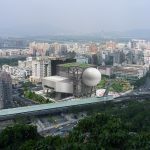 Each of the 10 conferences organized by SHARE this 2019 will be an all-in-one, 1-day event, and it will include presentations and talks on all-things architecture-related and beyond.